Is it Really Cheaper to Install Mold-Resistant Drywall? Home » Ideas » Is it Really Cheaper to Install Mold-Resistant Drywall? Mold growth comes into the mind of homeowners as soon as they see signs of moisture damage on walls and ceilings, which prompt them to use mold-resistant drywall to prevent or repair the problem. If you live in Utah, the cost of mold-resistant drywall installation in Salt Lake City may be 10 percent more expensive. The additional price leads some people to think that it is a better choice, but mold-resistant does not necessarily mean you will never have to deal with mold problem ever again. Whether you decide to buy mold-resistant products or not, make sure to choose the right drywall to prevent costly remediation work. Aside from the higher cost, the disadvantage of using mold-resistant drywall involves no guarantee of preventing mold in the first place. Even if you bought one with a warranty, it may not cover instances of mold damages, mildew, fungi and bacterial growth among other conditions. However, using this product still has its benefits if you are okay with the extra price. The smaller chance of mold from taking place could spell the difference between using a mold-resistant product and a traditional drywall. Homeowners should expect to spend from $10 to $25 per square foot for mold remedies. Some contractor may charge a flat rate even when working with a smaller than usual space. Location also affects the overall price, such as a higher price for the attic than the basement. It may cost between $1,000 and $4,000 to remove mold in the attic, but you could pay a smaller price if it is not too hard to access for professionals. Basement rates cost anywhere from $500 to $3,000, although mold remediation behind finished walls or wood will cost more. For drywall repairs, the usual price begins at $1,000 up to $2,500. You would have to spend a bigger amount if the contractor advises you to replace the entire wall and the structure behind it. DIY projects for mold remediation could be possible for affected areas not exceeding 10 square feet, and this may only cost between $50 and $300. The same may apply for installing drywall, but you need to have the right equipment for either repairs or installation. You should consult a professional to inspect the problem before asking if it can be done on your own. If the contractor discovers an underlying problem, then hiring professional service will be important. 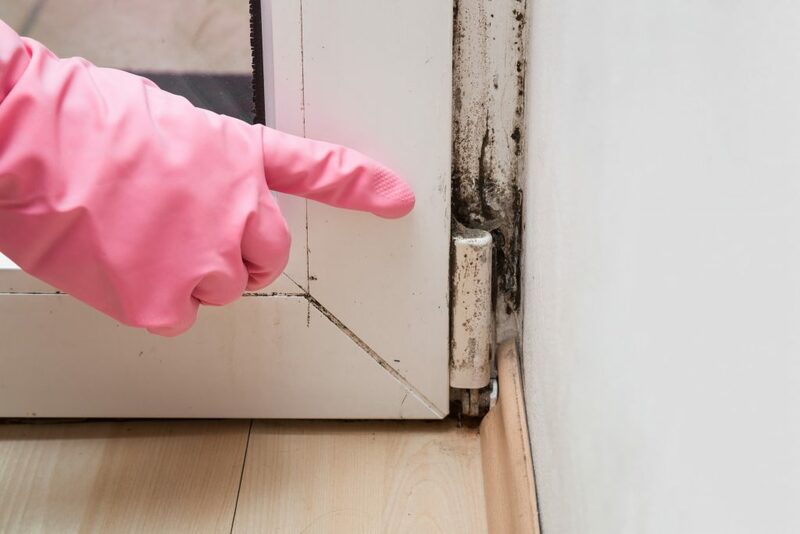 Mold growth that has spread in different parts of the house should always be delegated to a professional for your own health and safety. Preventive measures remain the best way to keep mold from appearing in your home. These include routine inspection for leaks around the house, especially in areas that often come in contact with moisture. Those who need to fix drywall problems should also hire a licensed and employed contractor, instead of an independent professional. Not all handymen are skilled and familiar with mold growth.